I sat in traffic for forever and needed to iron and was generally bummed about about our not-gonna-be-solved til the weekend flooring situation so I wasn't going to blog for Wednesday. My husband always wants me to blog so I told him he should write a post for me and suggested five things you guys still don't know about me. Here it is, unedited, with a few footnotes at the end. 1) It started with a laugh. Why am I making duck face? I blame the wine and just got married happiness. 2) We're a multi-lingual household. I don't mean this in the traditional sense of the term multi-lingual; neither of us can speak even passable Spanish despite it being part of both our respective heritages (Sidebar: is that the plural of heritage? I'll have fun pondering that for the rest of the night). 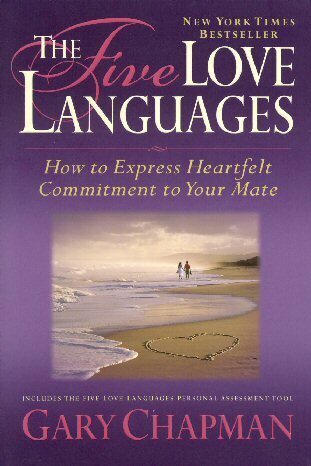 Lauren told me about this book that talked about the five love languages, or some crap like that. She likely wishes that she never told me about this book, because I use it daily as an excuse to annoy her. Lauren: Stop putting your feet on me! Me: But that's my love language. In all seriousness, I do get the spirit of the term love languages. She and I do speak different ones at times, but I happen to think they complement each other in ways that keep our lives interesting. And I think we both tend to like the idea of "making memories" as gifts, which I think is a language (maybe??). Or maybe that's just my reasoning for getting her to tag along on my culinary/barbecue adventures. No honey, it isn't. For what it's worth, I am physical touch and he is acts of service. Via. 3) She isn't exaggerating when she says cooking isn't her thing. She'd likely never share this story on her blog, but hopefully she lets me tell it without her skillful "editing." Every once in awhile we like to do breakfast for dinner. Who doesn't? Pancakes should be a food group. Also, we may or may not say "BAAAACON!" a la the Beggin' Strips dog treat commercial when we're about to cook bacon. Well, on one particular breakfast for dinner night, Lauren got home before I did, so I asked her to get started on the pancakes. I will fess up to the fact that most of the things I cook at home aren't your normal home cook recipes, so I cut her some slack on those. Our pancakes, on the other hand, are simple boxed mix, eggs and milk. You mix up your batter, turn on the non-stick griddle, and make your pancakes. Well, I'm about fifteen minutes from home when I get the panicked phone call. Lauren: I messed up the batter. It's really thin and won't cook right. Me: I'm almost home. I'll take a look at it. When I hear Beggin' Strips, I think of the dog so you get a pic of him. 4) I have nicknames for many of you. Part of our daily routine since Lauren started blogging is me asking her about all of her blog friends. In this process, due to the way my weird mind works, many of you have been awarded nicknames. Don't worry, they're not mean or spiteful! 5) You ladies have added smiles to Lauren's day. ** I'm pretty sure I did something wrong to the batter and then turned the heat off and forgot to turn it back on. Or something. *** 'Tis true. I love my blogger friends and he does ask about many of you daily! Okay, guest posting done. I had no idea he would be this nice to me. I also didn't know that he thought I shared a lot with you. So, did you learn something? What would your significant other or someone else close to you want to share with your blog friends? 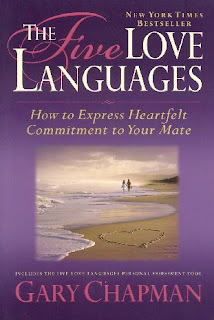 I love the love languages part. Your husband is funny! aw i want manfriend to do a post! This is so sweet! Rowdy has been asking me if he can write a post so I think it's coming soon! Oh, not turning on the griddle is totally something I would do. I love that Andrew knows about the Love Languages book and has nicknames for other bloggers! Post more pics of y'all like that. Too funny! This was great!! My husband once did something similar for me, and I was also surprised at the things he found as "important details" about me. Your hubby sounds like a doll!! Too cute!! And I am glad I am not the only one who misses some vital things when cooking! Ummm...I am obsessed with this post. So sweet and hilarious. Your cooking skills seem similar to my sisters :) And I love that he talks about Love Languages. I seriously need to get JP to take the test so I know what his is! Mine is Words of Affirmation! Haha, I loved what he said about the love languages and using it against you. So funny! And that first picture is the best. You two are a beautiful couple. I looooooooove this!!!! What a good idea. Also, the griddle story made me laugh out loud. What a fantastic idea for a post! I really loved it. Not sure David would be up for it... he asks me to help him write and edit things, so I doubt he'd be up for it. 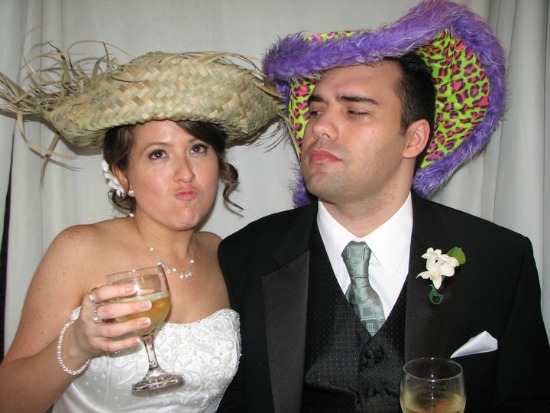 I love the picture of you two at the wedding, too fun! I also love the picture of Duncan. Him and Dexter could almost be twins! I have a similar cooking story, but semi-opposite. I was making pizza rolls one day (I know, I have awesome taste in food...) and I overheated them. There was smoke forming, the pizza rolls were getting black. My first thought was to call my mom (this story was back in the day) instead of simply turning the oven off. I did...after she told me to! Ha! I have since gotten smarter, at least a bit. but for cereal brinner is my fav! What a great post! So clever and well written, like he has his own secret blog he's been writing and practicing on...hmmm... :) I would love to hear the nicknames! I bet they are hilarious! And is that your dog? You need more pics of him, he's so cute! I love this! what fun. and hahaha the batter sounds like a me thing. Just found your blog and read this....so sweet!